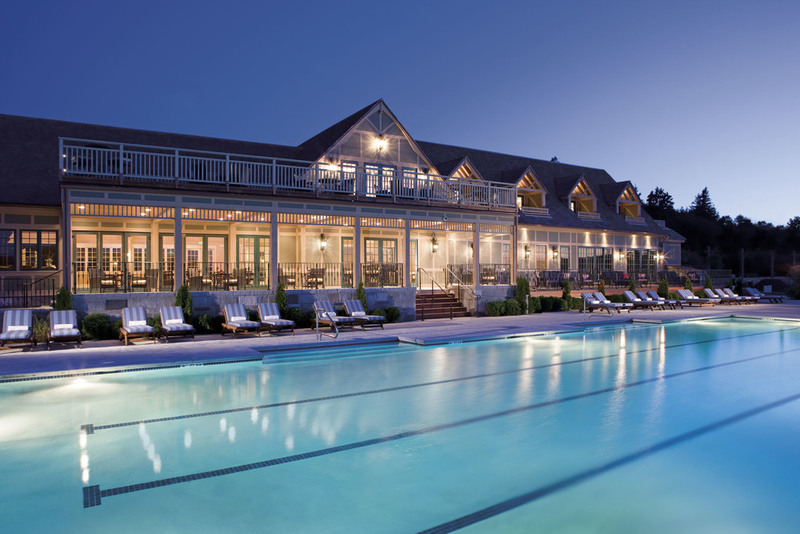 Bar Harbor Club invites you to socialize and relax with family and friends at the water’s edge. Experience the summer in Maine as it’s meant to be enjoyed. The Club has been revived to its original grand state and features spectacular grounds in one of Maine’s most scenic oceanfront locations. Immerse yourself in a world of self-indulgence at our spa, engage in a friendly game of tennis or cool off in the ocean-front pool. We look forward to exceeding your expectations and welcoming you to the Bar Harbor Club way of life. A stunning two story Pool House featuring a rich game room and deluxe locker room accommodations. It also serves up delicious food and beverages to compliment the magnificent view of the harbor. Take a dip, catch some rays or gather with family and friends to watch a beautiful sunset. With plush, private locker rooms, our Fitness Center features a diverse array of equipment. Whether you want to break a sweat on the treadmills or ellipticals, or take advantage of the strength training equipment, our state o the art facilities await your convenience. Three outdoor tennis courts, surrounded by the beautiful waters if Frenchman's Bay offer an unforgettable tennis experience. Our state-of-the-art clay surface allows for more focus on timing and game strategy, without over-stressing your legs or back. A healthier way to play the games for people of all skill levels. 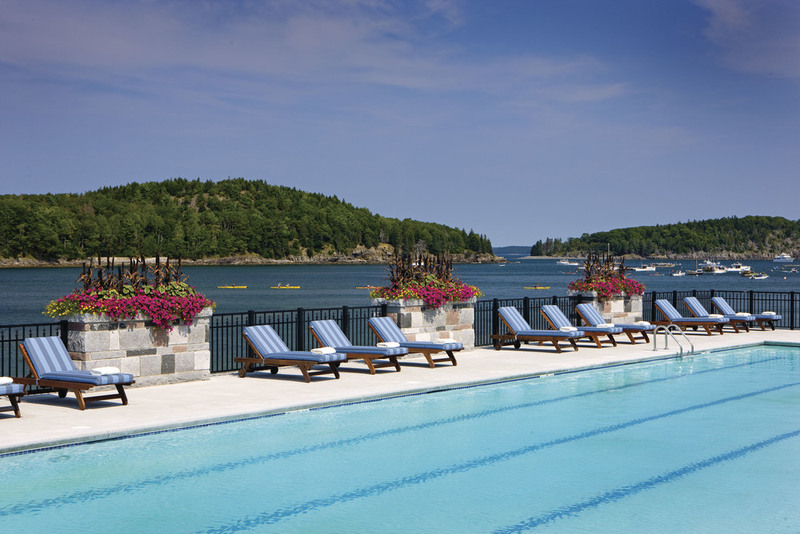 The Spa at Bar Harbor Club offers a world of self-indulgence, born of privilege. Our staff is made up of accomplished, seasoned technicians whose sole objective is to facilitate total relaxation and absolute comfort through an extensive menu of therapies and treatments. 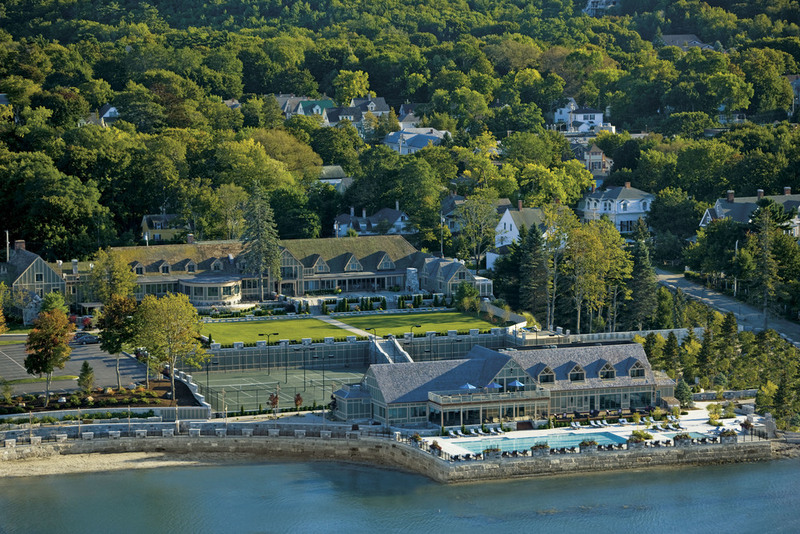 Whether it's a board meeting for 10 or a wedding for 300 people, Bar Harbor Club's unique seaside location and beautiful environment is the perfect setting for an unforgettable time. Planning a family reunion, anniversary party or gathering? The Bar Harbor Club's professional staff will create and customize a spectacular event, allowing you to be the ultimate host. Our state-of-the-art facility, incredible waterfront location and impeccable service will guarantee the absolute best meeting or event. Click here to submit a request for proposal. Click here to see our banquet menu. Plan a dream wedding with the help of our on-site professionals. Create custom menus, personalized ceremonies and lavish receptions. 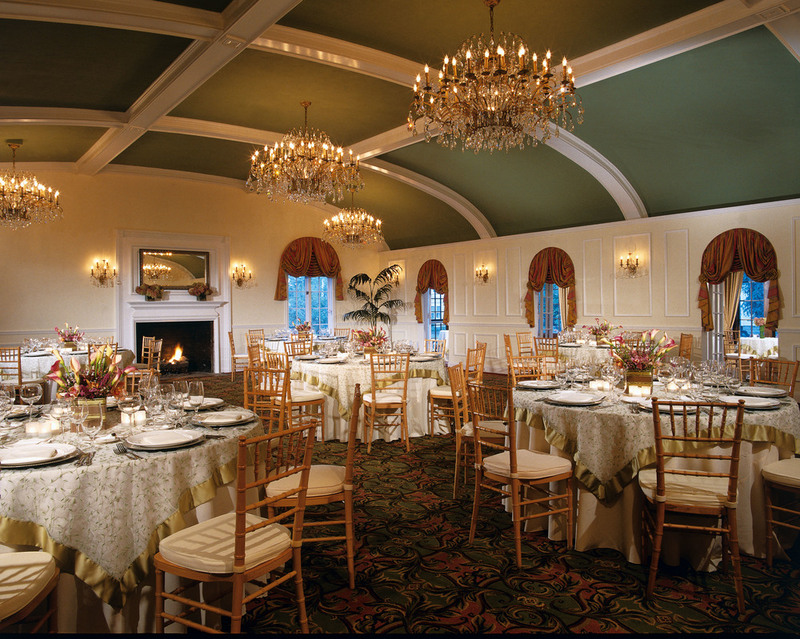 Whether you are looking for an intimate wedding or a grand celebration, your cherished day at Bar Harbor will be one to remember. Click here for detailed wedding information. During the stock market crash of 1929 J.P. Morgan started construction on the exclusive waterfront oasis which opened to the grandest ball the island had ever seen on July 4th, 1930. 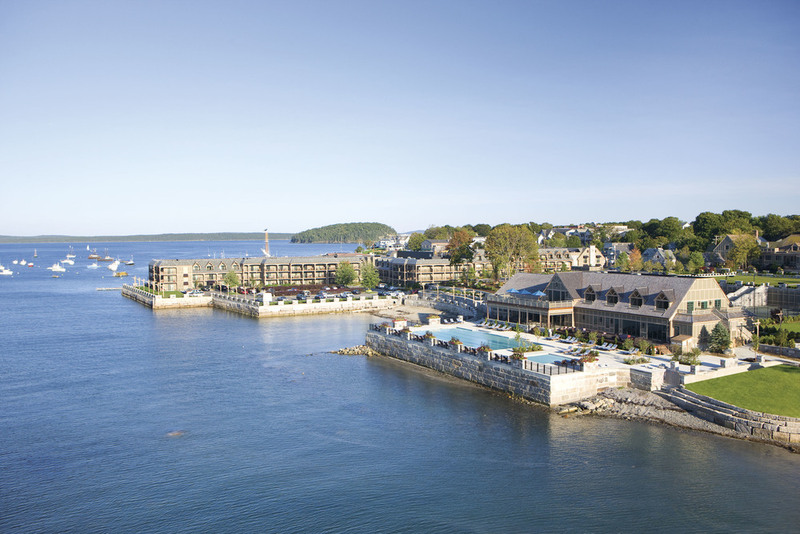 The Bar Harbor Club was once a private playground for the town's wealthiest summer residents such as Joseph Pulitzer, John D. Rockefeller Jr., Edward T. Stotesbury and other movers and shakers of the day. Nominated, seconded and scrutinized by the Board of Governors, initiation fee and dues were the easy part of membership. Events at the Club included dances, sporting competitions, games, Sunday buffets, socials, receptions and exhibitions. The lavish costume balls and weekly dances were so popular the best bands from New York and Philadelphia auditioned yearly. The comfort of his guests was of the utmost importance to J.P. Morgan to the extent that he had a granite breakwater built to save his guest’s sloshing drinks on the yacht (Corsair). When membership waned in the 1980s the Club closed and sat empty until Ocean Properties purchased it. Now meticulously restored, the Tudor-styled building is more glamorous than ever, providing a unique seaside venue for meeting and social functions. As well as offering the ultimate in spa, tennis and pool facilities. Open from May to October, but our staff is ready to answer questions and book your event all year round.